That road loss @RSL, this past Saturday, really drove home the point that the Red Bulls are missing a key piece, or two. A Midfield Maestro (or two) really wouldn't hurt, right about now. Unfortunately it ain't happening this season, but I'm hoping that Mr. Backe sees the need (unlike that quack Osorio). Mr. Backe said this week that NY doesn't have what it takes right now, and I believe him. Barring another magic, 2008 Season-like, run in the playoffs, I can't see RBNY being an actual contender this year. Not without a magic man in the midfield to provide service to our star strikers. The Red Bulls were without 4 starters this past Saturday, due to International commitments, and were dominated by the RSL midfield as a result. Mr. Backe will catiously evaluate the returning players this week. Two players in danger of not starting this Saturday, against Colorado, are Rafa Marquez and Dane Richards, who both played on Tuesday with their respective National Teams. Both are, reportedly, very tired. About the most interesting thing (to me, anyway) from this past week was the Dane Richards Goal Of The Week win controversy. Apparently, some RBNY techno-geek fans ran some bots, scripts, whatever and cheated Seattle's Freddy Montero of a GOTW win. My take is that, while Montero's goal was run-of-the-mill, especially compared to Dane's Golazo, it's never good to win by cheating. Sorry, I couldn't resist. And speaking of Thierry Henry: he was spotted yesterday in Queens, with best bud Juan Pablo Angel, taking in a US Open tennis match. Recently, TH14 was gracious enough to grant the guy over @The Original Winger a little sit down. You can check out the video of that one by clicking here. Getting back to the GOTW controversy, the guys over @MLS Rumors suggest that AT&T (GOTW sponsor) should be asking why they would want their brand associated with such a flawed system. Yeah, it's a VERY slow news week. Just got a text, from the Red Bulls, stating that "Forward John Wolyniec officially retires. Red Bulls to honor "Woly" on 10/2 at Red Bull Arena". 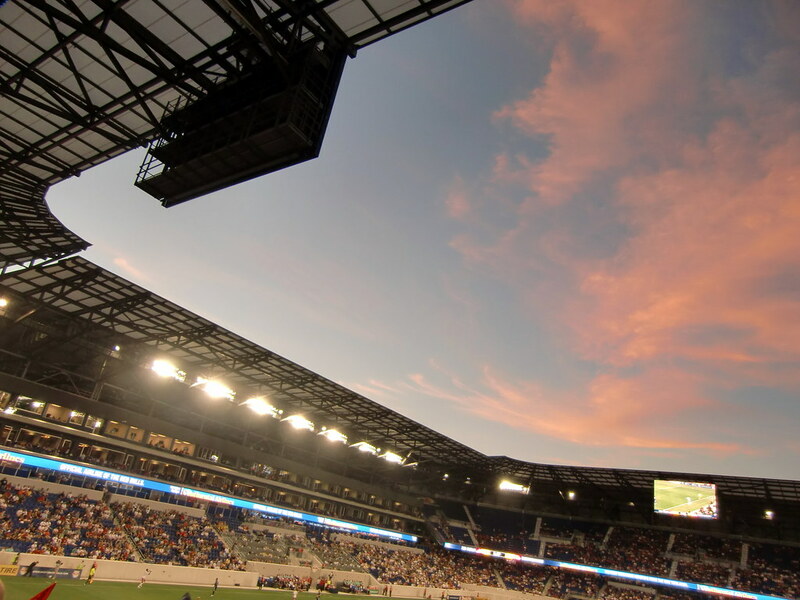 And, from Red Bulls reader, here's the story, with some Woly video as well. And, here's the story from the Official Red Bulls site. Apperently, Woly has accepted a position with the Red Bulls Academy. Harrison Police Officers get paid big money by the Red Bulls. The Battle Del Toro will take place immediately after Saturday's RBNY/Rapids match. I just discovered this great RBNY promo. You can check out some more, like this one and this one, by clicking here. And...why not: Let's all laugh at DC again. The big viper is outta here!